Do you want to grow your company bigger than McDonald's? Use franchising, but do it more cleverly than McDonald's. Why is it better to grow the company through franchising than branching? Is my company ready for selling the franchise? Who is interested in my business anyway? Who do I dare sell my franchise to? Am I overdoing it with the franchise? Have I done all that I can for my franchisee to sleep soundly every night? Am I a paranoid franchiser? Do you want to grow your company bigger? Then use franchising. A new restaurant is open in Riga, capital of Latvia, and it is one of a kind in the Baltics. The customers do much of the work for the waiter in this restaurant. In fact, there is no waiter in the classic sense. Clients order their own meals from a tablet and take wine from the wine dispenser. The employee only brings the food and clears the table. The founder, Peteris Ozols, has been in the hotel and restaurant business for 23 years. He opened the restaurant after a thorough analysis that pointed out the weak spots that take the most time and labor in a restaurant. The result paid off – 40% of labor costs are saved in this restaurant! Customers can taste 60 wines by the glass, and the dispensers keep the right temperature, the wine maintains its quality for up to two weeks. Beer lovers can visit Easy Beer, a bar created with a similar concept, which has 200 beers in the selection. Interesting drink dispensers are not the only thing that sets Easy Wine and Easy Beer apart from other Riga restaurants. The owners aim to grow Easy Wine and Easy Beer into a Europe-wide restaurant chain through franchising. Currently, the first restaurants are being opened in Warsaw and Paris, with negotiations ongoing across the pond for locations in Los Angeles and New York. Before opening the first Easy Wine in Riga, the team worked hard for two years discussing in great detail what kind of beers and wines to choose; what is the equipment, where and at which temperature to keep the drink; what type of furniture and interior design style; what types of food selection, atmosphere, customer service, etc.. They also put down the requirements for employees, and details of the overarching business model for all locations. This is how the concept that combines good vibes and the newest bar technology came into being. The franchisee pays 5% from the turnover, in addition to a one-time starting fee of 23,000 euros. That gets them the wine or beer dispensers, training in restaurant management and customer service, and of course, the franchise book that has all the information. Additionally, the team has calculated how much money should go where, and how much profit the restaurant should produce. If Easy Wine’s business model, along with their drive for rapid expansion, is a perfect example of the benefits of franchising. The beauty of franchising is growing the company with small means and fast, regardless of the industry. Sometimes it can even happen worldwide. The USA moving and junk removal company College Hunks Hauling Junk grew 100 times bigger in about a decade, but it all started very simply. Working in his mother’s suburban furniture store over summer holidays and doing home deliveries to clients, Omar Soliman realized that a lot of people asked him to take away their old furniture, and were willing to pay for it. Borrowing his mother’s old truck, Omar asked his old friend Nick Friedman to join him. They printed out flyers, handed them out in the neighborhood, and executed their first orders the next day. Initially, it was only a summer job and they both continued their studies at the university. In 2004, they won the prestigious Rothchild Entrepreneurship Competition with their business plan. 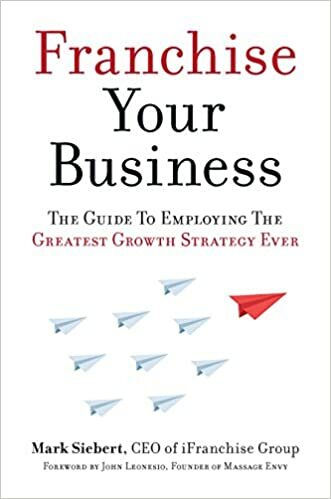 This had the two cornerstones of College Hunks Hauling Junk’s business model thoroughly described: a company has to grow through franchising and be more effective than its competitors due to a central ordering center. Only after spending some months in an office as wage workers did the young men decide to become entrepreneurs. For the sake of a strong Sales and Loyalty Center, they moved the company from Washington to Florida, where telemarketing is high-level. The call center works 7 days a week, takes the orders, and distributes them between franchisees. 70% of the work comes to the company via the call center. By 2018, the company had more than 100 locations around the US, and they extended their operations abroad, firstly to Canada. The franchisee has to initially layout between 90,000 and 200,000 dollars, depending on whether they want to handle moving, junk removal, or both. The starting fee also covers the operating costs for the first six months. The oldest operating McDonald's restaurant is a drive-up hamburger stand at 10207 Lakewood Boulevard at Florence Avenue in Downey, California. It was the third McDonald's restaurant and opened on August 18, 1953. It was also the second restaurant franchised by Richard and Maurice McDonald, prior to the involvement of Ray Kroc in the company. Becoming a franchisee is an exciting way of growing a company that could be used much more than it has been until now – especially considering the McDonald’s success story that has become synonymous with franchising. Unfortunately, franchising is far from being riskless – in some respects, it is riskier than starting your own company. What are the critical questions that, when answered, help grow through franchising – why not bigger than McDonald’s? 1. Why is it better to grow the company through franchising than branching? The most common reason why an entrepreneur decides to grow the company through franchising is lack of resources. Since the franchisee pays the starting fee and most of the initial investments (if not all), the franchisers can expand to various markets without the necessary basic capital. Real estate, rental space renovations, and design, equipment, furniture et al inventory are also taken care of by the franchisee with equity and loan proceeds. This is particularly necessary for fast food chains, where it is crucial to have as much representation as possible for the brand to become well-known and get a bigger market share. World’s most popular chicken restaurant chain KFC operates more than 17,000 restaurants in the United States and internationally. You can find KFC brand in Sargodha, Pakistan too. Interested in becoming a KFC franchisee? Be your own Colonel, says the company. Franchising is promoted by the belief that the performance level of the sales agents, privately held by the franchisee, is higher than in those with hired managers. All the more so, that monitoring hired managers in remote locations are tedious and expensive. Private owners are more personally invested in growing profits, and so they are typically more motivated to be successful. Furthermore, franchise benefits from the created symbiosis, where the franchiser can monitor the agents that belong to them and the franchised ones, and compare their productivity. If the organization can make use of the good experiences of both types of agents in order to secure the entire company’s position, then it is an obvious competitive edge. 2. Is my company ready for selling the franchise? Does my company have enough power to grow through franchising? It is not a great feeling when you are, say, the owner of Godfather’s Pizza, and have just sold the franchise to an interested party, who was supposed to pay 600,000 dollar seed capital for it. But then you read from Forbes Magazine that this franchise is not worth buying because the company’s five-year increment rate is all negative, -7.7%. Why do situations such as this one occur? There are several reasons. Every business owner is slightly blind towards their own company, meaning that they tend to overestimate the positive and ignore the negative signals. Which is why the change in client demand went unnoticed early enough. The company may have been very successful a year or two ago, but they probably missed the market changes at the right time and did not do the necessary readjustments. This will come back to haunt you sooner or later. You also need to take into account that some areas are more dependent on the economic cycle than others, real estate, for example. Since it takes around 2-4 years for the franchisee to gain economic independence, it is not very wise to buy a franchise during a boom in a field that might be in a freefall in a year. Can my business be cloned? Keep it simple – this sentence holds the most important in franchise business. If your business can’t be learned in three months, then the franchise won’t take off. The franchisee needs to understand the business to a tee. The thing is that franchisees come from very different backgrounds: Some know nothing about the field, for others, it is their first shot at the business. Of course, requirements can be set for specialized education and experience – and for a dentist, it is the only possible way – but this could hold off talented people from many businesses. There is the possibility of using a simpler restaurant menu for franchise. Or order the complicated stages from the main company, etc. Start franchising by writing down your business process step-by-step. The time spent on this is not wasted, even if you change your mind and don’t sell the franchise. This gives you an outline of what exactly you are doing. Note down all the important things, starting with how a business card should look like, and finishing with employee training. If the business is unable to generate 15-20% ROI (after the 4-8% royalty has been paid), it is difficult to talk talented, enterprising people into buying the franchise. I won’t be starting from scratch myself? No matter how brilliant the idea, it is risky to create a franchise business from scratch. At least one working prototype should be founded beforehand. Do I have money for franchising? Franchising is a cheap means for growing, but it is not free. A company that is gradually growing through franchising should expect 50,000 dollars in costs, and for a more aggressive growth – 100,000 dollars. This includes the costs of hiring additional people. Don’t kid yourself, there are only so many hours in a day: even if you think you can do it all yourself, then somebody has to do your current job. There is no right or wrong tempo for growing through franchising. The growth just has to be in line with the nature of your company. If you have been taking it slowly until now, then don’t rush. The worst thing a franchiser could do is count on the franchisee’s quick profit and the resulting royalty. This drops the bar (the only criterion being money) and only brings in weak franchisees. Is franchising the only way to grow? It might sound good and cheap, but perhaps an organic growth with the help of a loan or involving new partners would be much more suited to the company right now? 3. Who is interested in my business anyway? Some businesses just seem attractive and appetizing. For example, Edible, that makes edible flower baskets from apples, pineapples, strawberries, and chocolate. Meanwhile, picking dog feces from the dog owner’s lawn doesn’t seem like a particularly attractive business at first. At least that’s what Jacob D’Aniello, thought in 1999 when he heard a dog poop cleaner praise their job on a radio show. Jacob was about to change the channel, as he started to wonder: But why not? This sounds like a plan. When he told about his plan later in the evening at home, his girlfriend thought he had lost his mind. But upon hearing him out she was on board, and the two of them founded the company DoodyCalls. As of 2018, a seemingly unattractive business has expanded into 57 locations in 23 states in the USA through franchising. Sure, it is good if a future franchisee comes and asks for cooperation, but usually one has to market their own franchise offer themselves. That is why your business idea has to be sellable. It has to really stand apart from the competitors, and your competitive edge needs to pop out. What is the unique selling proposition that separates you from the other franchise offerors (in the same field)? It is not always easy to find the answer, but a good idea is worth looking for during work. 4. Do I really have to read through the legislation? Before you start offering a franchise, sit down with an experienced franchising lawyer. Yes. There are no two ways about it. Before you start offering a franchise, sit down with an experienced franchising lawyer, and ask what all rules and regulations you will need to follow. This is a good investment, considering the problems and possible fines it will prevent. In the United States, all franchising transactions are regulated by the Federal Trade Commission (FTC). The franchiser has to issue a Franchise Disclosure Document (FDD) regarding their financial situation. This is presented to the franchisee for revision before closing the contract. It is a long, oftentimes complicated read, but a necessary one. The information is very important – it is the franchiser’s summary of their company’s financial status and managerial experience, as well as a code of practice for the franchisee, and the like. Legislation may differ from one state to the next, additional requirements have been established in some places. 5. Who do I dare sell my franchise to? Ex-military people often are excellent franchisees. They know discipline and rules, and they are good team players. One of the most common mistakes is a low barrier to entry. The second you start thinking about money and forget about the future franchisee’s personal qualities, it can come back to bite you and end in failure. Franchised businesses are often run by ex-military men – according to the International Franchise Association, one out of every seven franchises in the U.S. is owned by a military veteran. They know discipline and rules, and they are good team players. If the deal is that thinking by oneself should be limited, then that’s how it is. Excess creativity has no place in the franchise business. However, this does not mean that the franchisee should not be an entrepreneur at heart, active and hard-working. Of course, they should! Running a franchise could be most suited to those coming from systematic work environments, and who can do the job even if they disagree with the boss. The ability to take your superior’s criticism calmly will definitely come in handy. Experience in sales or marketing will be of use. As for personal qualities, less conflict people are better suited for the franchising system, whereas the highly creative and willful personalities ought to remain independent entrepreneurs. Other reasons: lack of information, not enough advertising. Grouping the franchisers’ and franchisees’ replies revealed that the main key to success is competency in financial management, i.e. a clear understanding of the pricing mechanism, an overview of the costs, and the ability to plan expenses. It is basic math, but requires an honest self-assessment from the entrepreneur, as well as defining their (and the company’s) needs. Cost assessment begins with the business plan, and if the predicted turnover might not cover the costs, then a business should not be established on these conditions. The main thing is not getting mesmerized by the franchisee’s beautiful eyes. The franchisee might be super interested in buying your franchise, but you decide whether or not to open another business somewhere. Perhaps there aren’t enough clients in this area? Perhaps the competition is too keen, and the marketing costs would exceed your initial assessment? Are there any niches your competitors haven’t covered that are strong in your company? 6. Am I overdoing it with the franchise? In 2006, 10,000 current and former franchisees entered a lawsuit against the Quiznos fast food chain. They were displeased with the fact that Quiznos had sold too many franchises and forced them to buy food products at such high prices, which made it impossible for the franchisees to compete on the market. They found that Quiznos had turned franchisees into “captive customers”. The lawsuit went on for several years, cost Quiznos 200 million dollars, and also led to one company’s owner’s suicide. Nobody starts a franchise to fight. However, disagreements and conflicts are unavoidable. Therefore, it is necessary to write down all the meetings and discussion notes from the start. It is also wise to record the meetings (in which case you need the other party’s permission). All agreements have to be put in writing – simply because the human memory is selective, and people remember verbal agreements very differently. Know-how – confidential technical and technological information regarding how goods are produced or services provided. Code of practice – a detailed description of how the franchise business should be run. Services that are guaranteed to the franchise buyer in the starting period, as well as during regular business. Charges – amounts paid by the franchise buyer. Firstly the starting fee, and then the franchise fee. Typically, the starting fee constitutes about 10% of the franchise buyer’s costs; the yearly (monthly) fee is 2-5% of the franchise business’ net annual turnover, and the marketing fees vary 1-3% of the sales. Expansion – does franchisee have the right to open new places of sale? If the franchisee is disgruntled and feels like they cannot trust the organization, then they might develop the attitude that their interests stand separately from the organization’s interests. The termination of the contract entails very important moments. Coming to a peaceful solution is easy if both parties wish to terminate the contract. However, it is important that the Franchise Agreement also includes the terms for unilateral termination of contract – after a notice period or immediately. The franchisee should have the priority right for buying the core company if it is put on the market. It is important to lay down the conditions in the agreement that restrict the franchisee from starting a similar business upon termination, or for a fixed period after the termination of the contract. In any case, it would be beneficial to bring in a lawyer who is experienced in the field. Of course, it is important to abide by the law, but you need to think ahead a bit to protect the franchiser’s interests. It won’t be an issue with 1-2 franchisees, however, if the chain grows to a 100 in ten years, like College Hunks Hauling Junk, then 1% increase in royalty means hundreds of thousands of dollars a year. All this should be considered whilst drawing up the contract. 7. Have I done all that I can for my franchisee to sleep soundly every night? The franchise is a very simple business in that sense: If my franchisee is happy and making money, then I am happy and making money. This is why it is crucial that the franchisee is content from the get-go; that they feel trusted, cared for, and receive the help they need. This is terra incognita for the franchisee, and it is impossible to grasp all this at once. That is why it is important to share this philosophy with the franchisee. Yes, on one hand, it means goals, standard operating procedures, code of practices, service descriptions, sales materials, evaluation criteria, checklists, etc. Exactly as was done in the Latvian restaurant Easy Wine that we mentioned in the beginning. Even if you have given the franchise without all that, it is not too late to document the most important activities of the company, step-by-step. The more materials like this you have to offer to the franchisee, and essentially work through together with them, the more successful they are. In addition, the franchisee needs to be introduced to the company’s soul. You can’t put that on paper. You might get a glimpse of this at a bar, talking about the company’s history, reminiscing the successes and the failures. Daily communication is also important – when starting a business, it should literally be daily. The franchiser has to maintain cooperation from the get-go, and clearly express their expectations. Because if the franchisee is disgruntled and feels like they cannot trust the organization, then they might develop the attitude that their interests stand separately from the organization’s interests. Opening the first franchise business should be done step-by-step, together with the franchisee, to see where the confusion arises and what other instructions/documents are needed. Once there are more franchisees, it is wise to make them communicate amongst themselves. For instance, College Hunks Hauling Junk created franchisee groups, where they could swap experiences, and propose cool ideas. 8. Am I a paranoid franchiser? If you franchisee has a customer service issue, be there physically and understand what is going on. Every problem with a customer tarnishes your reputation as well. If the turnover is small for some reason, don’t just stand by getting down to it and determine the cause of the problem! If it is a customer service issue, be there physically and understand what is going on. Every problem with a customer tarnishes your reputation as well. Just as you shouldn’t believe the consultants who say that the success rate of franchised businesses is 95%, you shouldn’t believe those who say that franchised business is easy for the franchisee. However, the more franchisee has thought it through, the better the odds of it becoming something big and beautiful. DoodyCalls pooper scooper service in action. Franchiser is the owner of the name, idea, secret work processes, product or specialized parts of the equipment, and goodwill of the company with which it is associated. A specific contract, franchise agreement, is signed, that allows the franchisee to use the name, idea, processes, products or equipment, and goodwill of the company with which it is associated. Franchise agreement includes the regulations and control mechanisms related to operative process management of the company in which the franchisee fulfills their obligations/rights. In return for the acquired rights, marketable goods or provided services, the franchisee pays the franchiser use or license fee. Trademark – legally protected emblem that distinguishes its owner from other organizations. Code of Practice – detailed description of how the franchise business should be run. Charges – amounts paid by the franchise buyer. Typically, the starting fee constitutes about 10% of the franchise buyer’s costs; use fee is 2-5% of the franchise business’ net annual turnover, and marketing fees vary 1-3% of the sales. The two primary types of franchises are product and business format franchise. In the product franchise, the franchisee is an independent entrepreneur selling specialized products that bear the manufacturer’s name or trademark – for example, gasoline – for a certain fee. The franchised vendor’s greater identifiability, along with the franchiser’s trademark, product line, service concept, and marketing methods, sets product franchise apart from the typical supplier-dealer relationship. The goods are not sold to many vendors and dealers, but to a few chosen partners that are specialized on selling only specific products and services, and don’t offer competitors’ products. By limiting the selection of distributors, and appointing fixed distribution areas, each franchisee is guaranteed a solid and sufficient market share; meanwhile, there is no intra-brand competition. Occupying a market niche is the biggest motivator in product franchising. Business format franchise is a continuous business relation between franchiser and franchisee that doesn’t incorporate only products, services, and trademark, but the entire business model – marketing strategy and plan; code of practice, instructions, and standards; quality control; consistent two-way communication. In general, this type doesn’t involve manufacturing of products by the franchiser, however, the franchisee may be provided with necessary equipment, components, packing material, computer software, or promotional materials. In fact, it is increasingly difficult to differentiate the two types, because they are quite similar. Therefore: Franchiser is the party that has seized a business opportunity and created a new operative company. Just like the founders of Easy Wine restaurant in Riga, Latvia. Franchisee sees value in the company created by the franchiser, and purchase the rights to imitate the company in a new location. The franchising principles of Easy Wine and College Hunks Hauling Junk are very similar to those of Martha Matilda Harper in Rochester, who in 1891 founded the first franchised chain of hair salons. Born in 1857, and having been sent far from home at a very young age to work as a domestic servant, Harper decided to open a hair salon, after a physician taught her about hair care, and gave her a “miracle tonic” – a revolutionary organic shampoo. At that time, people rarely washed their hair or used harsh soap for it. Her hair salon was a combination of hairdressing and shampooing salons. Harper’s business was thriving, but she didn’t have enough money for expansion. Then she came up with a brilliant idea: Seeing how the Christian Science Church has created satellite organizations across the country, she basically decided to implement the same model in her hair salon. She opened the first franchise salons in 1891, in Buffalo and Detroit. Franchisees had to buy the reclining shampoo chair that she had invented, a sink suited for shampooing hair, as well as hair care products. Harper’s hair salon franchise also included a thorough training to cut and treat hair using the Harper Method. Later on, she founded her own barber school. Since women generally didn’t have money to buy a franchise, Harper lent them the money as well. Thus, she changed her own, and the lives of hundreds of other women, making it possible for them thrive financially, and marry on their own terms. At the time of her death (she died in 1950), Harper’s franchised chain included 350-500 salons, according to different sources. Among other clients, Woodrow Wilson (U.S. President, 1913-1921), Calvin Coolidge (U.S. President, 1923-1929) and his wife Grace, Jaqueline Kennedy, et al. Even though franchise mainly associates with McDonald’s, it was that enterprising woman from a poor family, who founded it. Harper’s model was also used by the inventor of Coca-Cola, John S. Pemberton, who in 1900 offered a license for sale, which would allow the bottle makers to buy his syrup, as well as use the Coca-Cola brand name and logo. Since then franchising has kept growing. In the 1950s, a hasty business format franchising began in America, and in 1980s, it was a prompt way for USA companies to internationalize. In these days, around 400 US franchisers increased the number of their representative firms abroad by more than 70%, i.e. almost 39,000 agencies. Most of these were in Canada, Japan, Europe, Australia, and the United Kingdom. More than 200 different franchising industries have been specified in the USA, from pizza and burger kiosks to cleaning up dog poop. Which chains have managed to grow the biggest? Source: Forbes.com. America’s Best & Worst Franchises to Buy 2018. Did you know that franchise was founded by a woman?